Has anyone been? Do you have any pictures, or tips? We are spending a week near Chania in June, thought we may try a bit of walking too, if we can fit it in. I will take a guess that you will almost certainly find organised trips that take you to the gorge and pick you up at the other end. If you're going on a package holiday your tour company might offer it (at a rip-off cost!). Otherwise you should have no trouble finding a travel agency in the town who'll book it for you. 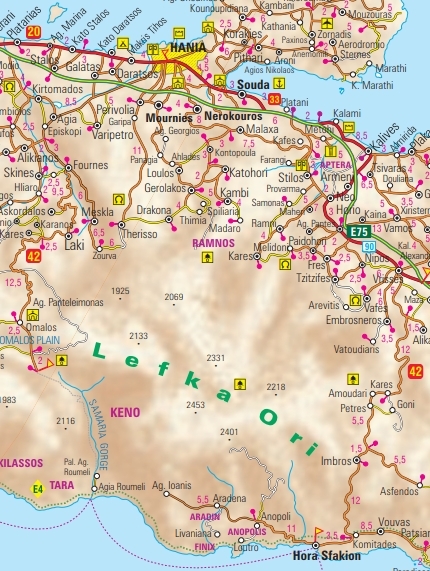 Chania is on the north coast, Samaria Gorge is in the south of the island. To get there will mean going over the mountains on tortuous roads. The only experience I can relate, from 2010, is that I was on a small ferry from Gavdos island to Crete. 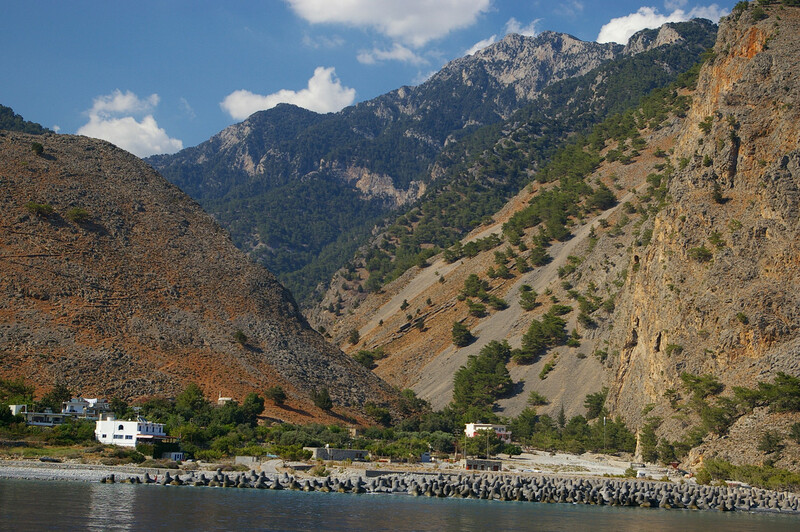 It pulled into Agia Roumeli port which is at the south end of the gorge, where a large number of hikers boarded. The boat then continued eastwards to its destination of Hora Sfakion where everyone disembarked and coaches were waiting for the walkers. I'll post a picture of the southern end later, when I have more time. which should whet your appetite. It confirms what I thought, which is that people get transport to the top of the gorge, then at the bottom a boat followed by a bus or whatever back to Chania. I walked it about 20 years ago, downhill all the way with a nice boat trip at the end. Would have find photo albums for photos (prints). Thanks Fernman, I like the look of the other gorges, Samaria seems to get busy according to many reports. I wanted to do this walk when I stayed on Crete last year. Didn't realise when we booked the holiday that we were at the wrong end of the island! Ooh - Crete looks lovely!